Source high in protein, which will satisfy all the requirements that may put athletes in front of him! Aminogram rich, high concentration of anabolic protein in every serving! 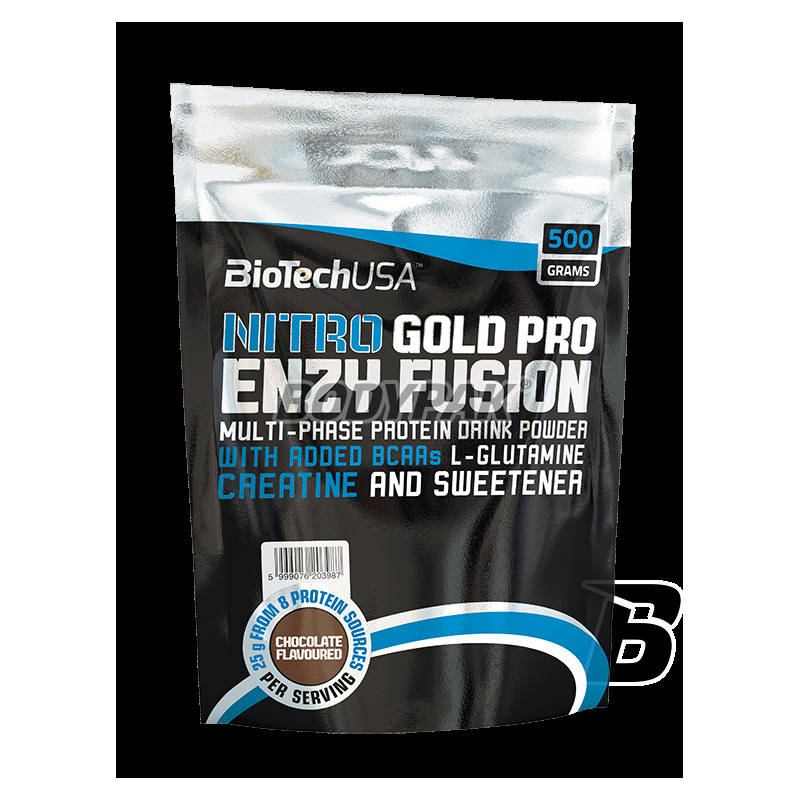 BioTech Nitro Gold Protein EF contains only the best source of protein - a mix of long-term release of proteins from the best, high-protein sources. Various protein sources have different absorption time - maintains the amino acids in the blood for up to four hours and allows the muscle building. 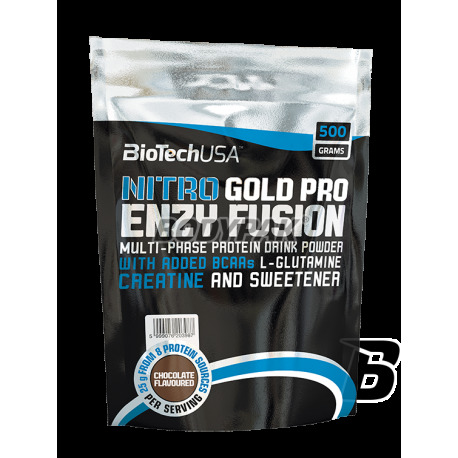 Slow released protein: glutamine, calcium caseinate, egg protein, digestive enzymes and prebiotics Each serving of Nitro Gold PRO contains a special complex of proteolytic enzymes and prebiotics, allowing maximum utilization of proteins. Anyone who is serious about the development of their muscles, knows the importance of a sufficiently large dose of BCAAs, glutamine and creatine. Every two servings of Nitro Gold PRO will provide you with all the necessary ingredients. Ingredients: whey protein isolate 35%, 13.6% casein hydrolyzate, whey protein 9% whey protein concentrate 8% Cocoa powder milk protein isolate 6% whey peptides 4 % creatine 3% sweetener (xylitol) egg 2% thickener (xanthan gum), flavoring prebiotic (inulin), bromelain (enzyme), l-glutamine (0.8%), salt, l-leucine (0.4%), l-valine (0.2%), l-isoleucine (0.2%), sweeteners (sodium cyclamate, sucralose). A valuable source of proteins necessary for both muscle mass and to prevent its loss during dieting. 100% natural whey concentrate - the composition comprises 100% whey protein concentrate having a protein concentration of 80%. A more economical alternative to the Isolate, 0 artificial additives.